There are some people out there who want to do everything themselves. They don’t see any sense in hiring someone for a job if they could just take care of it on their own. There are other people who prefer to outsource as much as they can. These people lead busy lives; it only makes sense to hire a professional carpet cleaning services to take care of things for them. Most people, however, don’t fall into one of these two groups. Instead, they lie somewhere in the middle. They’re willing to do things for themselves, but they don’t mind outsourcing if it makes more sense. If you’re trying to figure out whether or not carpet cleaning is something you should do for yourself, keep on reading. You’ll be able to weigh the pros and cons of both options. Renting a carpet cleaning machine isn’t usually that expensive, but it isn’t cheap either. Also, you usually have to pay some deposit for the rental. The pricing for a professional cleaning job varies a lot based on the area you are in. A one-time cleaning session usually isn’t that expensive. If you sign up for some package, prices may be even lower. Because there’s a lot of variation in pricing, people should take the time to compare their options. No one should assume that DIY carpet cleaning is cheaper. Sometimes, professional cleaning can be the better deal overall. Winner: Too close to call. Pricing is dependent on your location. When you clean your carpets on your own, you’re playing it by ear. Most people haven’t used a carpet cleaner in the past, so they have to figure things out as they go. When you work with a professional cleaning team, you’re working with experts. Cleaning is their bread and butter, and they know how to get the job done right. They’ll be able to clean your carpets perfectly. When they finish their work, your carpets will look like they’re brand new again. Winner: Professional carpet cleaners. A regular Joe can’t compete with a true professional. 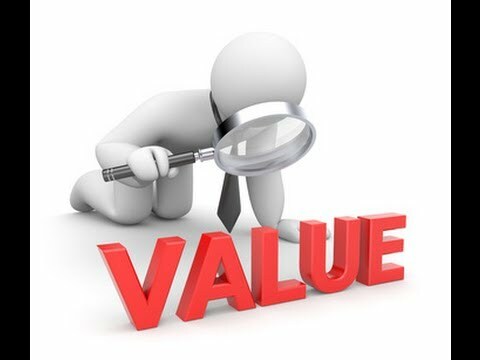 Value is about more than pricing. It’s about getting as much as you can for your money. When you rent a machine, it’s up to you to get a good amount of use out of it. If something goes wrong, you may wind up not getting very much for your money. Also, you’ll have to give up your free time to get your carpets cleaned. When you work with professional carpet cleaners, you’ll know exactly what you’re getting. Once they’ve finished, your carpets will be very clean. To make things even better, you won’t have to do a thing. While they clean your carpets, you’ll be able to spend your time on something else. Winner: Professional cleaners. You’ll always get what you pay for. While it makes sense to do some things yourself, you don’t have to take care of everything on your own. For most people, working with a professional carpet cleaning company will be the best option.